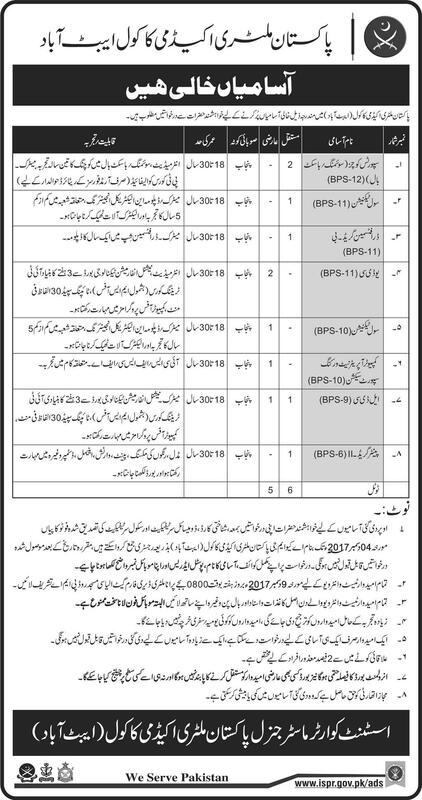 Pakistan Military Academy is looking for Sports Coaches, Civil Technician, Draughtsman, Computer Operator Networking Support Section and many more. Interested candidate can apply. candidate must have experience in relevant field.